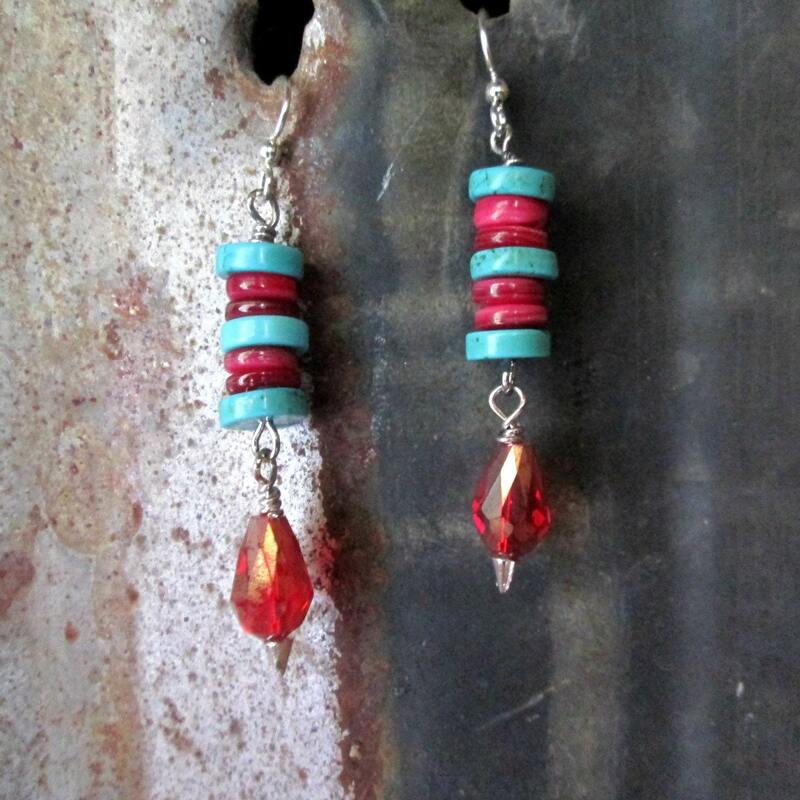 Bright and fun for spring. 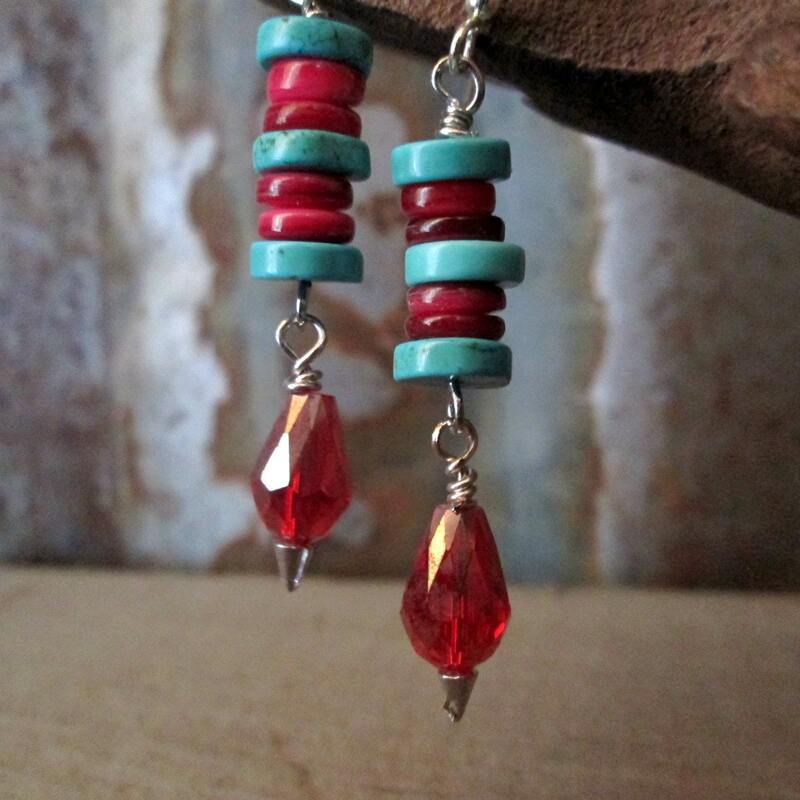 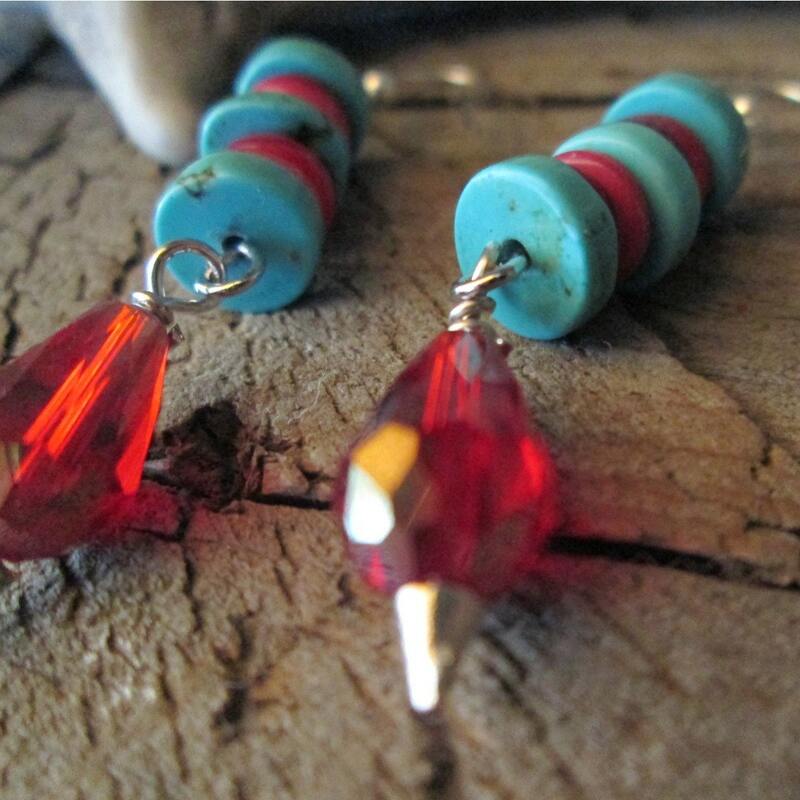 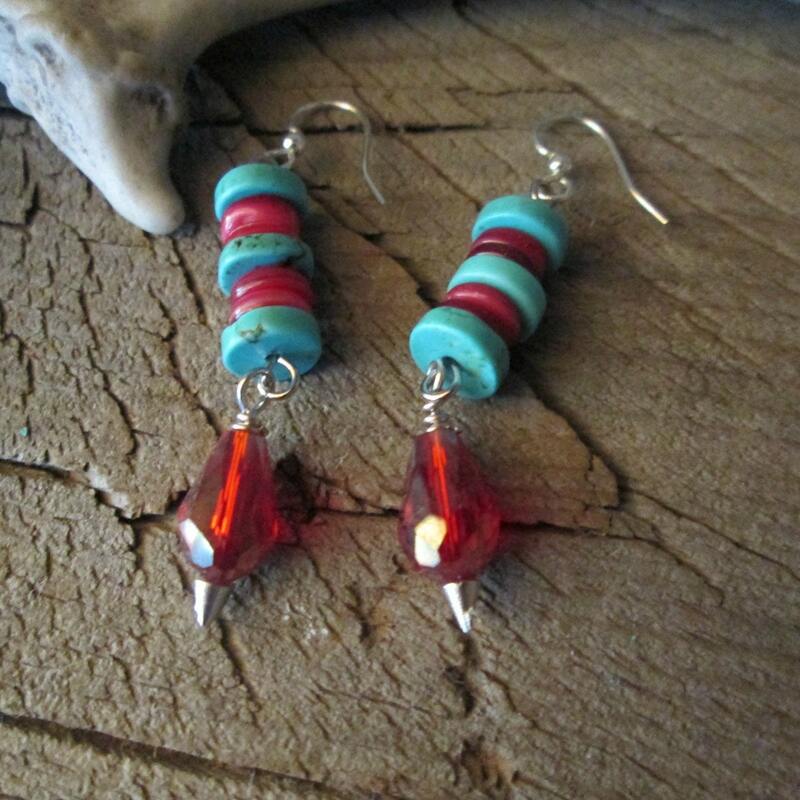 Measuring 2 inches in length, these turquoise magnesite earrings are highlighted with flat red shell beads and set off the red faceted glass bead perfectly. 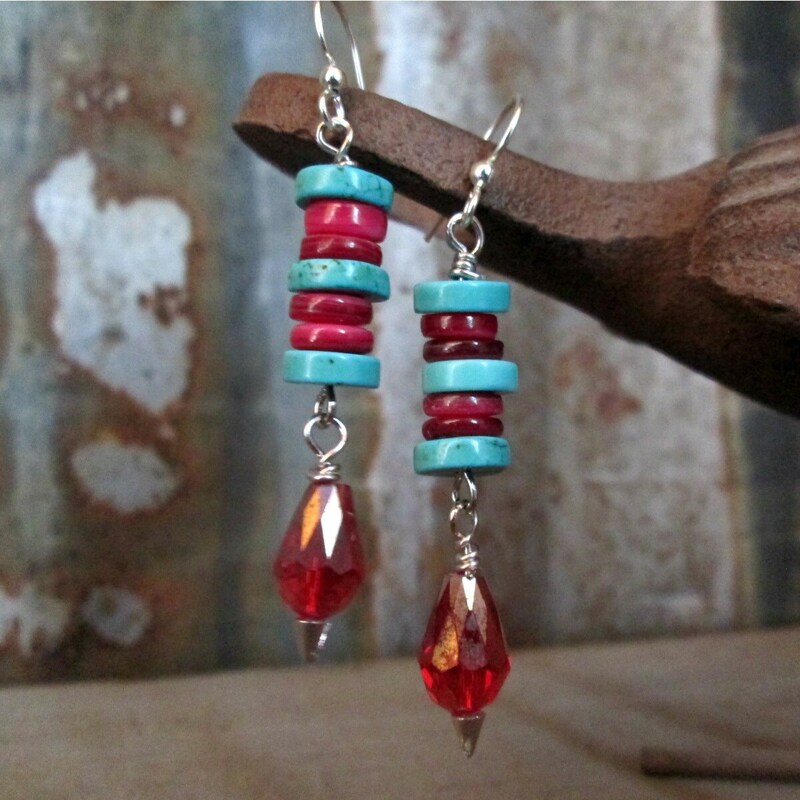 The earrings hang from silver nickel free earring wires and are perfect for spring.